Breathtaking panoramas will have us lost for words. 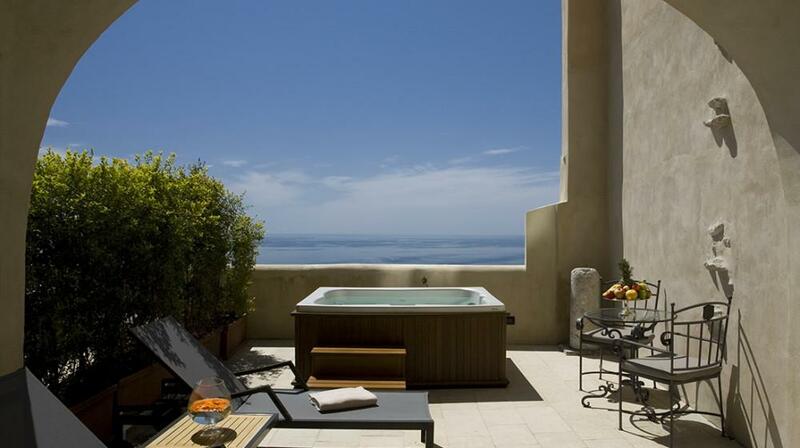 On one side, the Taormina Metropole Maison D’Hotes looks from the top of a cliff into the deep blue of the sea. 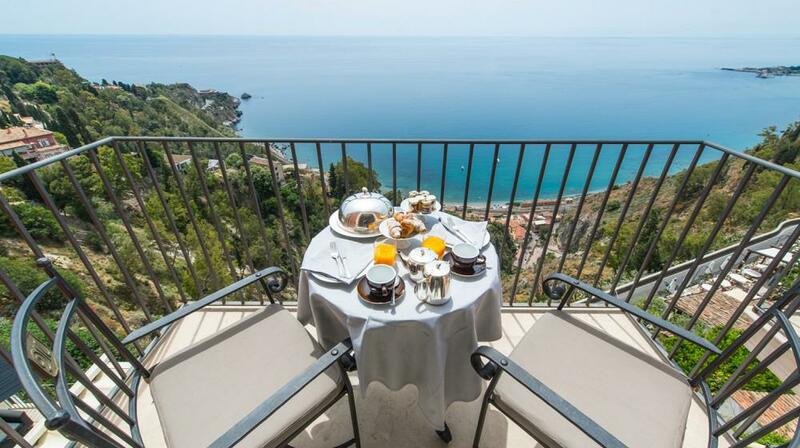 On the other side, it looks on a comfortable hill that hosts the most magical and fascinating spots of Taormina. 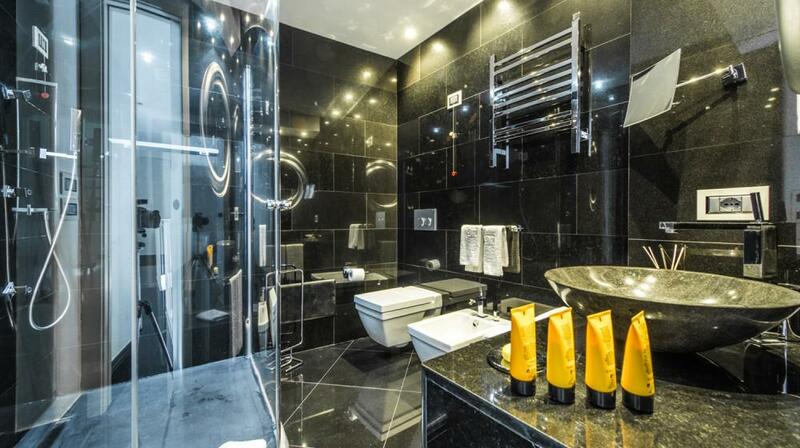 Five types of rooms are all characterized by an intense luxury. The presidential ones have wide and elegant interiors. 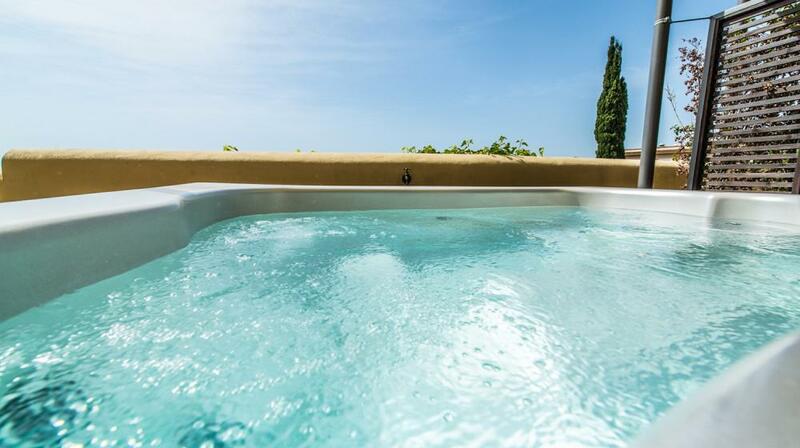 The SPA suite has outdoor whirlpool baths available. 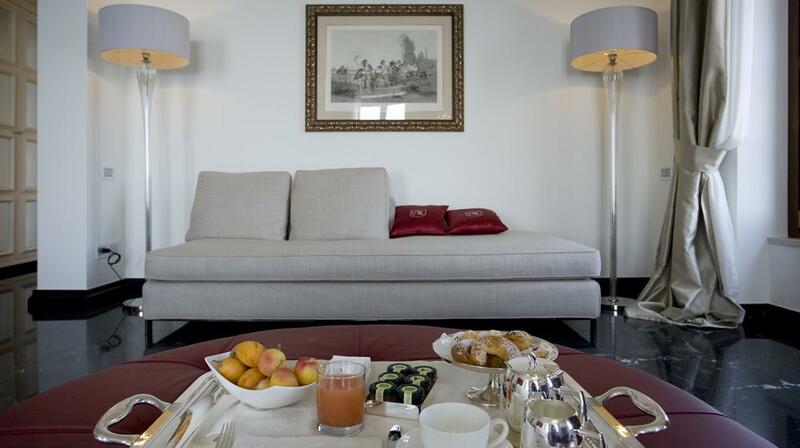 The Junior Suites are the encounter between modern and antique, ready to welcome you in their lounge. 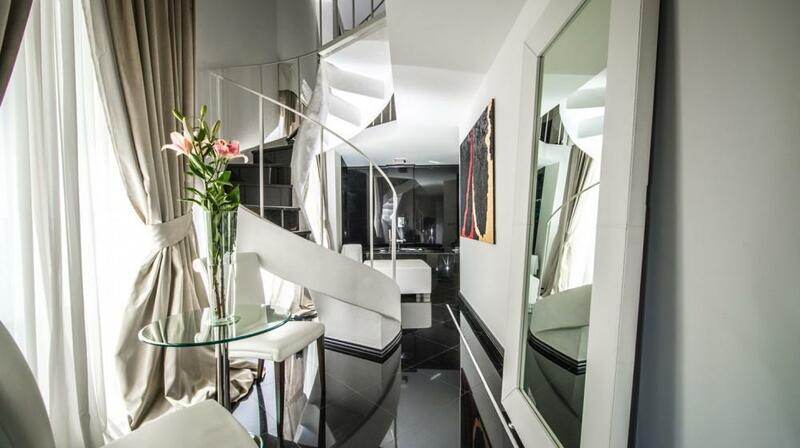 The Suite Design, spread on two levels, with night and day zone for all the style lovers. 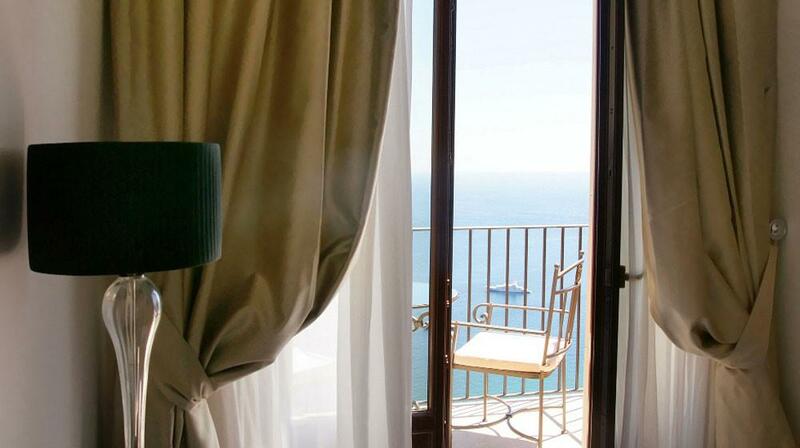 The Deluxe rooms with little balconies with sea view and elegant interiors. 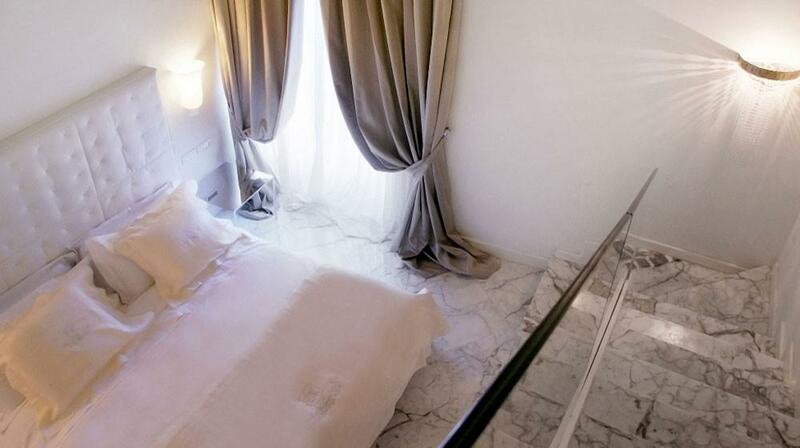 Comfort rooms, welcoming and comfortable that look outside on Taormina’s main street. Metropole’s restaurants offer quality, freshness and innovation in the name of high cuisine. A wine menu with a wide selection that ranges from local products to national and international labels. The terrace in front of the sea is maybe the most charming place of the entire Maison D’Hotes. Here an elegant lounge Bar for magical and mysterious moments. 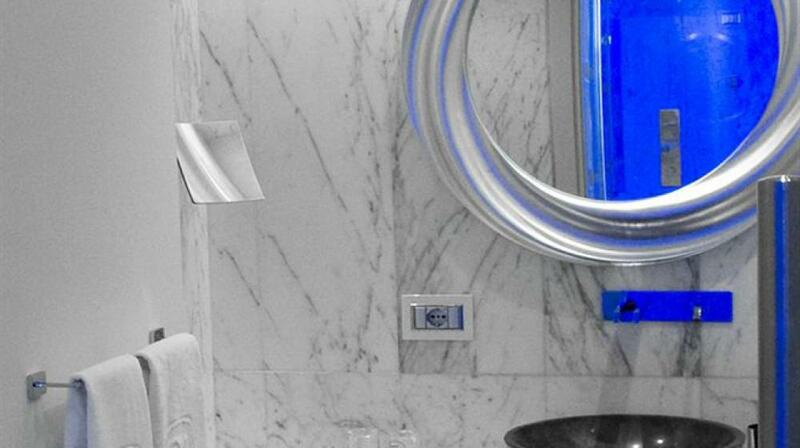 Our SPA is ready to welcome guests with the promise of moments of true relaxation. Located in the most ancient part of the building of the ‘400s it covers the whole building surface. 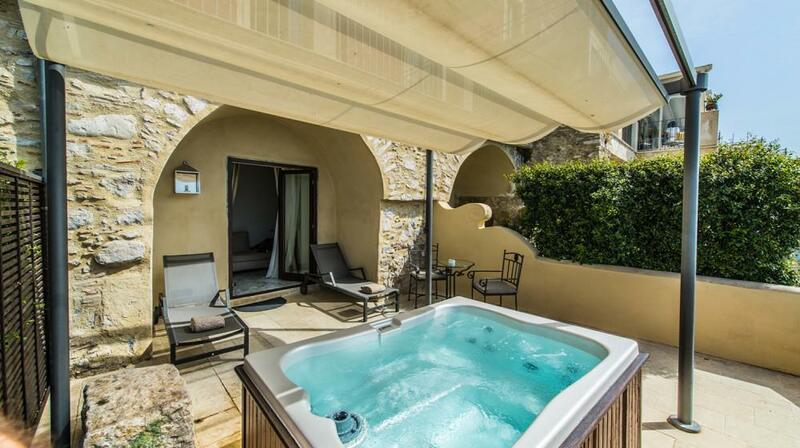 Hammam, Jacuzzi, emotional shower, and posarium with heated volcanic stone beds. Maybe the most dinstinctive sign of Metropole’s Style is its exclusive swimming pool of a blue that resembles both deep blue of the sea and the brightness of a clear sky. 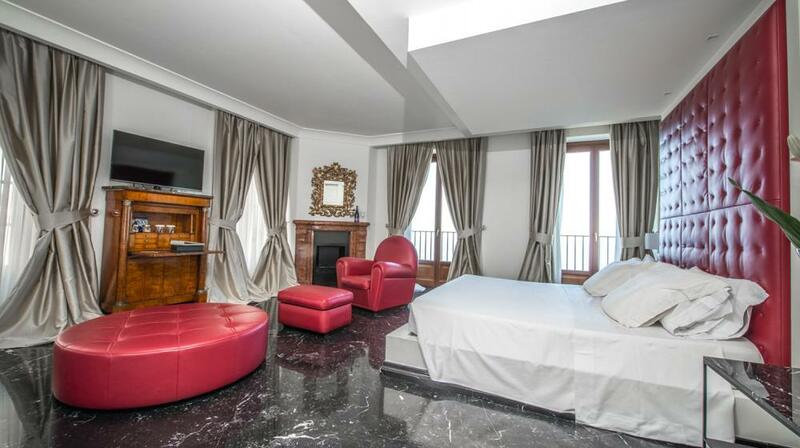 Warm, quiet and comfortable, the comfort rooms overlook Corso Umberto, the historical street which goes, like a small artery, along theheart of the city to the gorgeous Piazza dell’Orologio, which is characterized by an enchanting view on the Saracenic Castle. They areprovided with king bed and all the comforts which could be desired. Guy The Maupassant wrote in 1885: "If somebody would spend only one day in Sicily and ask what it is worthy to see, I would surely say with no hesitation: Taormina". 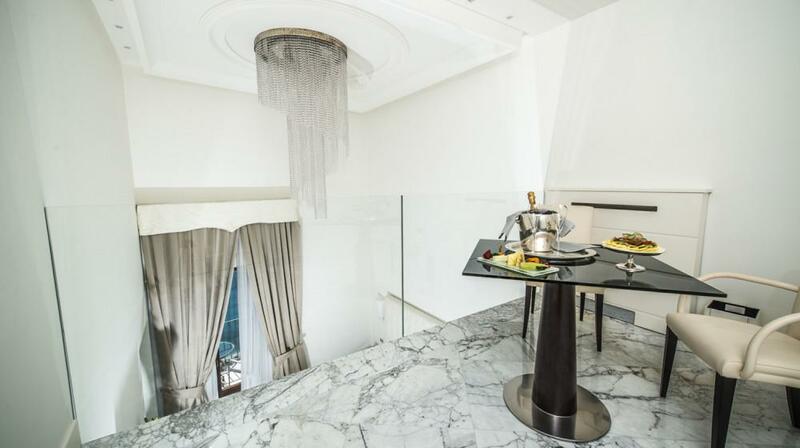 A view which is difficult to imagine to see from the balcony of the deluxe rooms. Refined interiors, precious materials, every comfort is available. 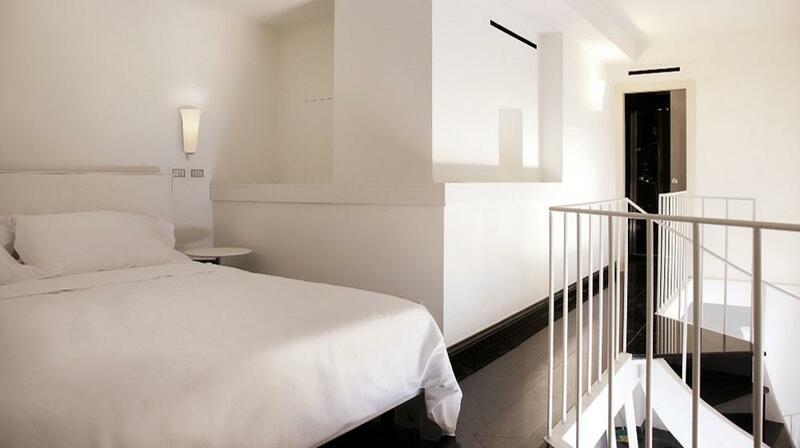 The Junior Suites are visibly inspired from the magnificence of a place which characterize the Sicilian Dolce Vita. Vaguely aristocratic atmospheres, always extremely accurate. They are arranged in two levels, with wide space, with the entry on the upper floor, where a living room will render everyday moments special. In the Intimate Terrace SPA, arranged in one level, you will have the possibility to get inebriated from the jets of the panoramic Jacuzzi, which is located on the terrace, surrounded by an enchanting landscape, the ideal frame for healthy and relaxing moment. The view overlooking the sea and the frontal horizon will give you the sensation of being suspended between the sea and the sky, between reality and a dream. Inside an Intimate Terrace Spa, extended on a single floor, we made it possible to pamper yourself with a panoramic jacuzzi, positioned on the terrace and surrounded by a beautiful scenary, ideal frame for a moment of absolute relax and well-being. Overhanging sea view, your personal share of horizon, will make you feel as if hanging between the sky and the sea, between fantasy and reality a lucid and wide-eyed dream. Crossing the threshold, different many-sided and surprising spaces. 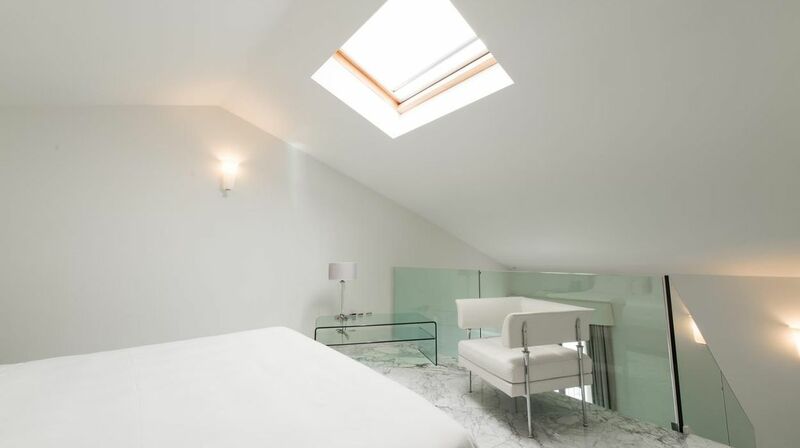 Arranged in two levels, our Design Suites are divided into a living room and a bedroom. 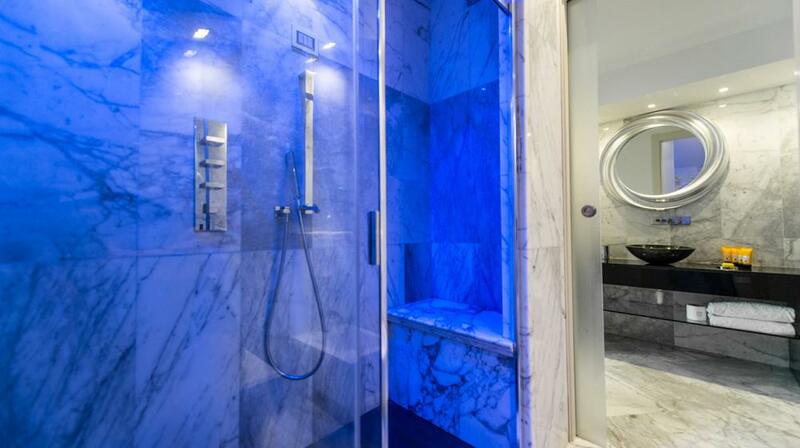 Each floor is provided with a bathroom. 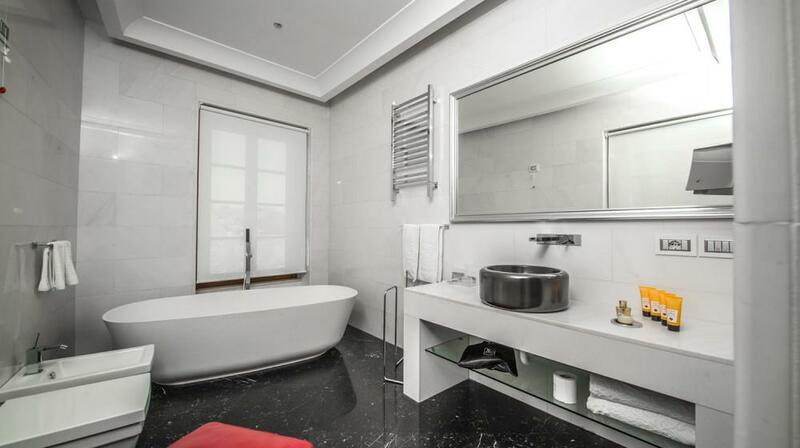 The accurate care for the interiors made the harmony of two separated spaces. 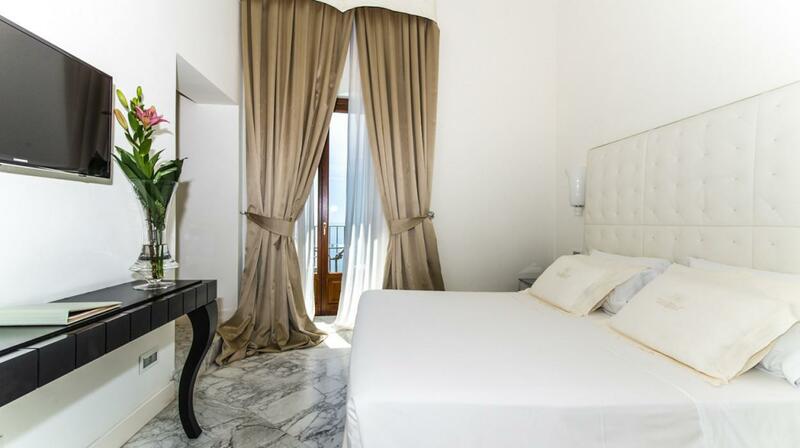 The living room, which is provided with all the comforts, will permit to celebrate unforgettable moments of real Sicilian magic. 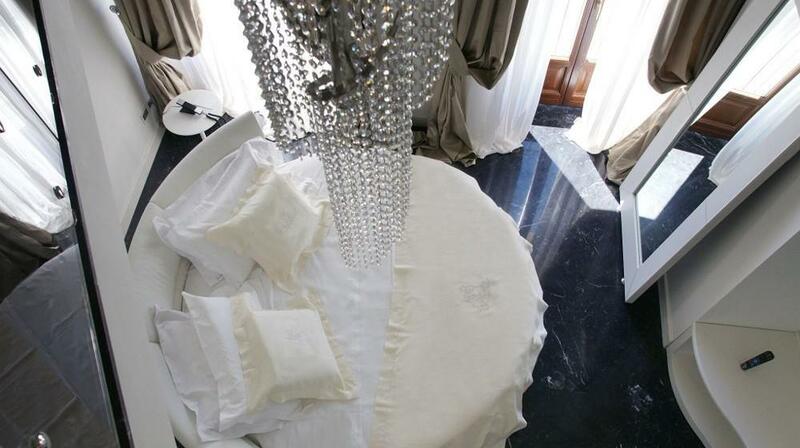 Among crystals and soft nuances, precious marbles and fine fabrics, you will feel shrouded, overcome and enchanted. 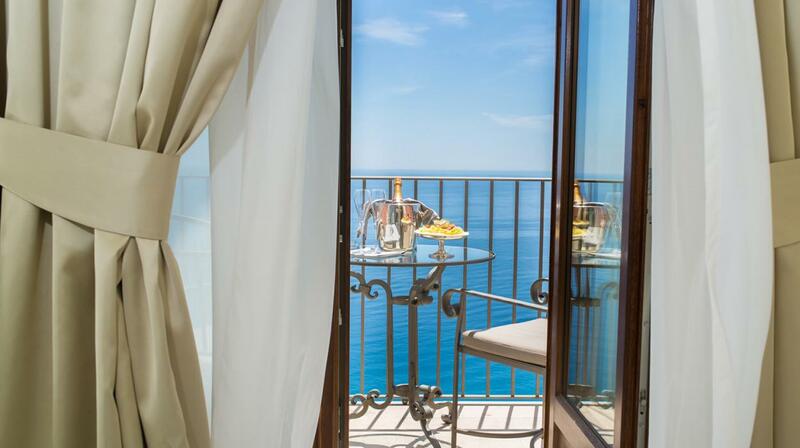 From the wide windows and balconies, the view on the marvelous gulf, on Capo Taormina and the sea. Our Design Suite are also divided in two levels, the living room has sofas and armchairs by FRAU, the bathroom has shower or tube. 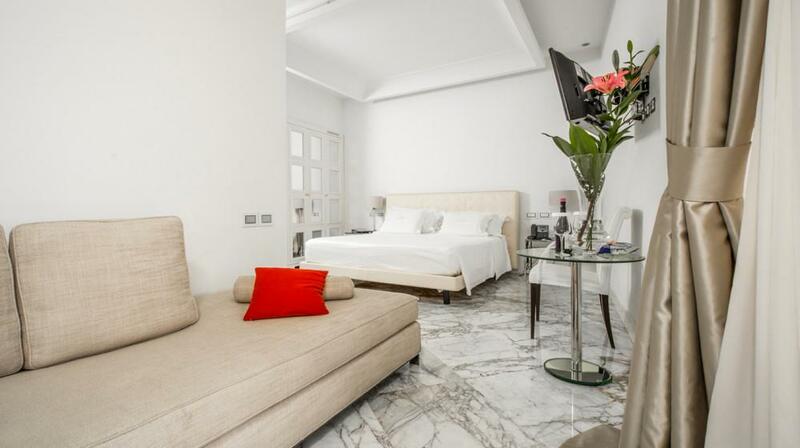 Each suite is different, for example you will find a beautiful round bed in the middle of the bedroom or a black marble tube in the living room with sea view. 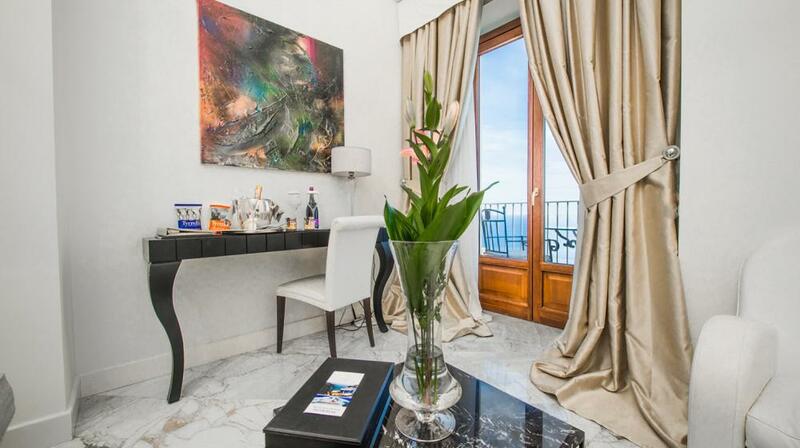 The master room of Metropole offers a breath-taking view on Taormina, the particular exposure of the windows allows our guest to overlook both the sea and the famous Piazza dell’Orologio. You will admire the coast and see the Greek Theatre in the distance, all you’ll have to do is change window and lose your mind in the infinity of the sea. The interiors of this suite are furnished with soft FRAU leather sofas, a romantic fireplace and a fabulous bed custom made. 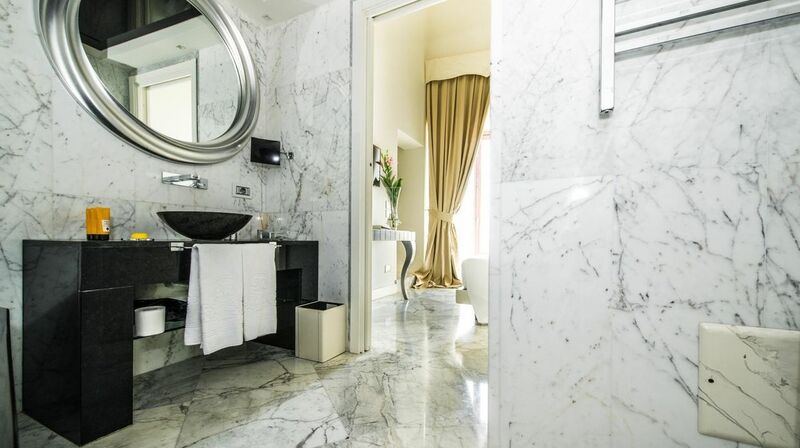 The Metropole Room is provided with any kind of extra luxury comfort including a big salle de bain completely covered with white marble where you will find a particular oval shaped bath tub and a big shower with different kinds of flushes to achieve moments of precious relax. 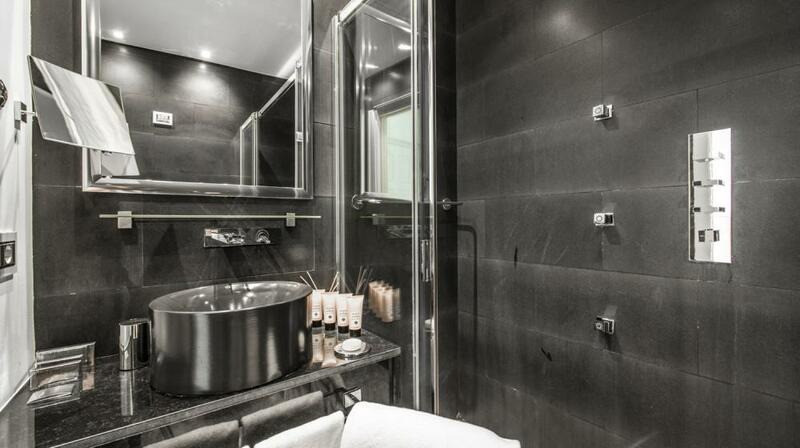 His Opinion: We had a wonderful stay, the hotel was so convenient to the center of town. The bar presentation was very impressive (my favorite espresso martini! ), and we enjoyed the complimentary appetizers each night @ the bar. Also loved the coffee and champagne offered pool side. The room was cleaned daily 2 times, always quickly, we never noticed the inconvenience. His Opinion: Excellent accommodations and a perfect staff. We enjoyed our stay very much. His Opinion: FIrst class all the way. Excellent front desk, excellent accommodations, location, restaurant, ambience. Highly recommend this hotel. His Opinion: Pas assez bien pour le standing attendu. Trop bruyant et déco banale. His Opinion: The Metropole Hotel was in the perfect location, central and with beautiful views out to sea from the large balconies and terraces. We particularly enjoyed the breakfast, which offered excellent service and extensive choice, and the pool area which was quiet and relaxing. All of the staff were very helpful and responded quickly and efficiently to any queries we had. 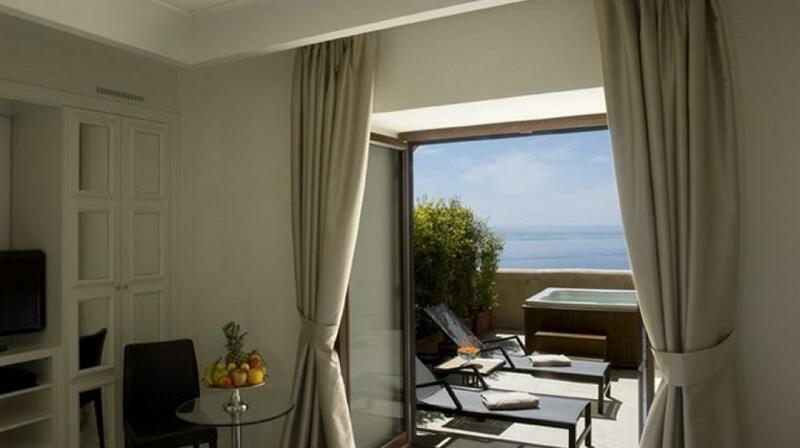 We would not hesitate to stay at The Metropole Taormina again. His Opinion: It was my 50th birthday and staff went out of their way to make it special - especially Maria in the restaurant who is a real credit to your hotel. His Opinion: Der Spabereich muss gesondert angemietet werden; ein befremdliches Konzept. Leider gibt es keinen Fitnessbereich, was bei einem Hotel, wie dem Metropole Standard sein sollte. His Opinion: Hotel was very well located but difficult to find with a car. The room was not as spacious as we thought it would be for a Junior Suite but there was a large terrace although this was overlooked by other guests. Very clean room. We did not eat at the hotel as there was plenty of other nice restaurants nearby and there was not really enough information provided about the restaurant or food offer. His Opinion: Personal war top! An der Reception, im Service und auch alle übrigen waren äusserst nett, kompetent und jederzeit hilfsbereit. Zimmer: Schrank zu klein. Vorschlag: Beim Eingang, bevor es über die Treppen zum Zimmer geht, wäre es gut möglich, für einen passenden Schrank. Vorteil auch dass man nicht alles über die doch eher steile Treppe nach unten bringen muss! Hotel werden wir weiter empfehlen! 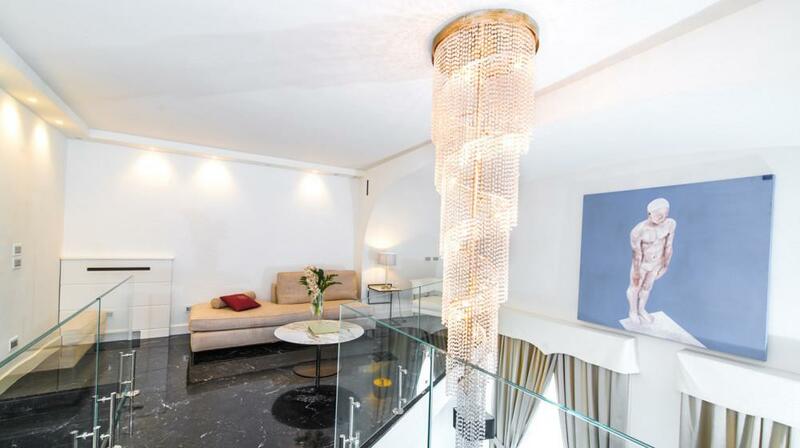 His Opinion: A beautiful hotel,well situated in the heart of Taormina. The pool is the envy of onlookers from the adjacent piazza. One caveat is that the hotel cannot be reached by car at the address listed. The 4 car garage is on Via Roma and that is where you should drive. 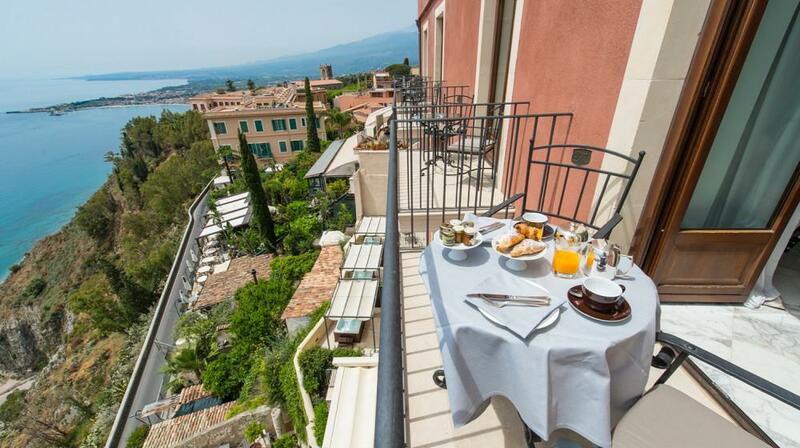 His Opinion: Our stay at the Metropole Taormina Maison D’Hôtes was among the best holiday experiences we have ever had. Our accomodations, an unexpected upgrade, were amazing. The staff, food and location are spectacular. The reception staff, waitstaff (Maria was wonderful each morning) and the garage staff were a pleasure to work with. Many thanks for making our first trip to Sicily and the land of our families, so memorable! His Opinion: Le petit dejeuner devrait etre plus varié. Etant resté une semaine aucune variété n'a été proposé malgre la gentillesse du personnel de salle.Je pense qu'il serait souhaitable de le repenser pour lui apporter quelques modifications appropriées. Séjour de grande qualité et le personnel est d'un très grande gentillesse et courtoisie. His Opinion: Excellent séjour! Accueil très professionnel, simplicité et gentillesse. Séjour parfait. His Opinion: Magnifique hôtel, le personnel est accueillant et avenant. Seul reproche, l'humeur d'un employé. Sinon, nous le recommandons vivement et nous y retournerons. His Opinion: Our 3 day stay at the Metropole was very relaxing and even though out of session, we were very well looked after. I would recommend this hotel for the views over the sea (deluxe room), the food and wine, and the spa massage was outstanding. His Opinion: Perfect hotel perfect location wonderful atmosphere great food but more importantly excellent friendly staff. We will be returning soon.